Appropriately, it was his storytelling that stands out most vividly in my memories of Jim. I know of no other person who could tell a story so well or who would be urged so strenuously by friends to retell a tale even though everyone round the table had heard it before. Paradoxically, for a shy and private man he not only told the stories brilliantly but also quite clearly enjoyed providing the performance. That was part of the charm: observing the pleasure which the entertainer himself received. We met in New York on our 1966-68 Harkness fellowships but it was back in Britain that our deep friendship was bonded. In the US his main base was Yale and mine was in the US Congress, in Washington. Jim was at his best in his own home where he never had large gatherings, not just because he intensely disliked them but also because there was scarcely room to accommodate more than eight people in any of his last three homes in London. At other people’s parties he was something of a Cinderella often making embarrassed and apologetic excuses as early as 10pm before bicycling back home. In his own burrow, however, it was rarely much earlier than 2am that his close friends would begin to leave and only then reluctantly but with that warm feeling which six hours of close companionship creates. The 1970s were an exciting time. In 1970 ‘Troubles’ set in the Irish war for independence (1919-21) was published to become the first of his Empire Trilogy. It won the Geoffrey Faber memorial prize. Two years later the ‘Siege of Krishnapur’ (a fictious town) set in the year of the great Indian mutiny of 1857, received widespread praise by the critics and went on to win the 1973 Booker prize. The third book of the Empire trilogy, ‘The Singapore Grip’ was set in 1942 to coincide with the Japanese capture of the British colonial city. The awards did not stop there. In 2010 Troubles was retrospectively awarded ‘the lost Booker prize’ created to recognise works published in 1970 when none had been appointed because of a change of funders. The Booker prize of the Siege gave him the public recognition which, unlike his contemporaries he would never have been able to achieve by media manipulation. It gave him much more self confidence, more secure, and turned him into a nicer man. He was as serious a cook as he was a writer. His cookery lessons began a couple of years after Oxford when a generous university acquaintance who was already making a lot of money invited Jim, who had no money and was struggling to write his second novel, to have a free room in his large apartment. His host was a brilliant cook. Jim’s cooking blossomed in New York, where there was such a wide choice of ethnic food shops. 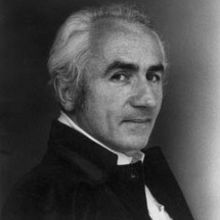 He initially concentrated on French food but later added India and Chinese dishes drawn from his research trips for his books. Of his two arts, he would pretend to prefer cookery for the obvious reason that the rewards were so much more immediate. But like most writers, his happiest periods were when the writing was progressing smoothly. He was extremely disciplined and although he had his difficult periods he did not suffer from ‘blockage’ in not being able to write at all. Once he had finished the bulk of his research for a novel, which could take more than a year in the British Museum and other archives, he would write most days even in difficult periods. He compared himself to a clockwork mouse which gradually ran down during the day. Even after the Faber prize for Troubles, awarded by three serious Sunday journalists, Jim still had not been interviewed in any Fleet Street paper. Belatedly his Weidenfeld editor persuaded him to let me write up an interview with him for the Guardian feature pages in September 1973. 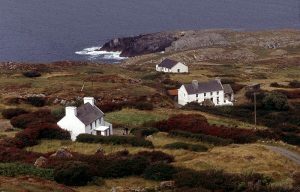 In early 1979 when he had become comfortably off from his awards and book sales, Jim bought a lovely old farmhouse on the beautiful Sheep Head’s peninsular on the isolated west coast of Ireland. It even had a barn which he was going to convert for accommodating friends. Just below the farm was a sloping rock face that plunged into the Bantry Bay sea. This was the place where he fished for his supper. On August 14 1979 he was swept from the rock out to sea by a large wave but was unable to swim back because polio in his early 20s had left him with a very weak left arm. Further out to sea a force 10 storm had sunk a succession of boats in the 1979 fastnet race killing 15 people. It took three weeks before Jim’s body was found on the other side of Bantry Bay. He was buried locally. His death, at the age of 44, stunned all his friends. It was difficult to believe we would never again enjoy his wit, warmth and humour. Many of us met frequently in the weeks which immediately followed to give each other support. Even Jim would have been moved.